If you've been out and about in New Cross recently, you can't have failed to notice the proliferation of sunflowers planted in June and July. 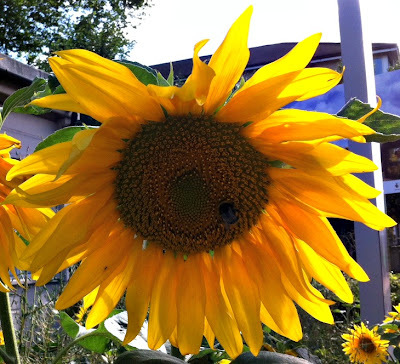 The 1000 Sunflowers for New Cross project is designed to create a bee-friendly environment as well as to brighten up the New Cross Road and surrounding area. 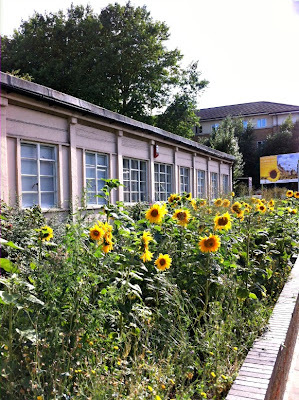 It has involved Grow Wild, New Xing and Goldsmiths (with some National Lottery funding), with the seedlings nurtured at Edmund Waller Primary School and Greenshoots’ community garden, among other places. Sunflower and other wild flower seeds have also been scattered on waste patches around the area so watch out for more blooming through the summer. Great to see this initiative has been successful. I'm going to have to make a special trip along New Cross Rd to see them. 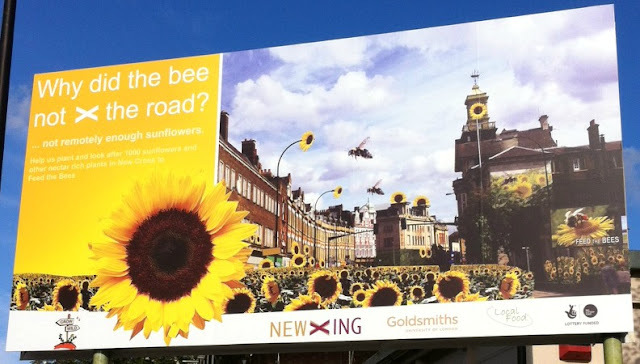 This is great stuff, I've seen the ones along the main road but before they were in bloom, so might take another look to see them at their best. 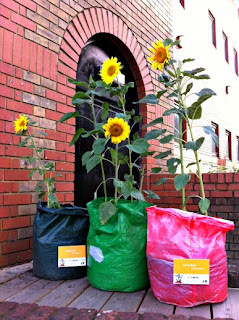 I hope this kind of positive idea is repeated elsewhere.